You’ll notice it’s pretty much everything except milk, water and the purest fruit juices. Anne's Place in Fishtown warns customers sodas and other sugar-sweetened beverages will increase in price because of the soda tax. Jan. 03, 2017, 5:00 p.m. So you’re at the corner store looking for something delicious and cheap to drink. Under Philadelphia’s new sugar-sweetened beverage tax, it’ll cost you more than it did in 2016. The tax went into effect Jan. 1 and already the full cost of the tax, which is levied as 1.5 cents per ounce on distributors, is being passed through to consumers at many establishments. Example: A gallon of sweetened tea that cost $1.77 now goes for $3.69 because of an added $1.92 in tax. But what drinks are actually going to cost you more because of the tax? Well, a lot of them. Any drink containing a sugar-based sweetener (i.e. natural sugar, high fructose corn syrup) falls under the tax, as does any drink with an artificial sweetener. Some of the few exceptions are drinks comprised of greater than 50 percent milk or greater than 50 percent fruit or vegetables or a combination of both. Here’s a list of some of the most popular beverages likely to cost you more — and the few that won’t. Shelves are stocked with sugary drinks at Cousins Grocery Store in Philadelphia. Coke/ Pepsi products including diet, Coke Zero, etc. Orange juice: For the most part, orange juices are close to 100 percent pure, such as those by Minute Maid, Simply Orange and Tropicana. Orange drink like you’d find from Hi-C or Sunny Delight is taxed. Tomato juice: If you’re going for straight-up tomato juice, you should be good with any brand. But beware, some V8 or other brand beverages that add fruit to tomato juice can be taxed. Apple juice and apple cider: Top brands like Musselman and Simply Balanced are not taxed. Minute Maid Apple Coolers and most every drink mixing apple juice with another type of fruit juice are taxed. Alcoholic beverages are not taxed, regardless of their sugar content. However, mixers that feature sugar-based sweeteners or artificial sugar substances are taxed. 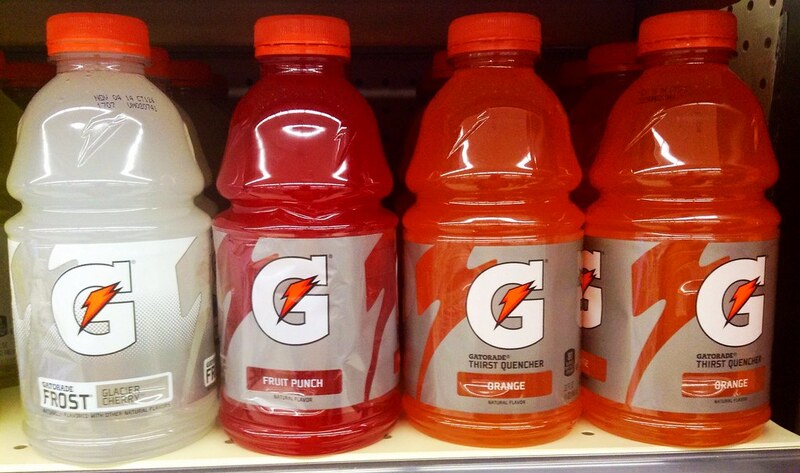 All sports drinks contain some amount of sugar substance or artificial sweetener. They are all taxed. *We’re not sure if Arctic Splash is really tea.